The cover art for the upcoming a-ha compilation 25 is now up on amazon.com, while the complete tracklist has been posted on buecher.de. Morten was at VG and NRK’s summer show in Stavanger tonight, to hand out another 1 million kroner to the second winner of the a-ha talent grant. The first finalist tonight was the band The Pink Robots, which has recently had a hit with the song “Curly”. The other finalist was Susanne Sundfør, who released her second and critically acclaimed album The Brothel earlier this year. 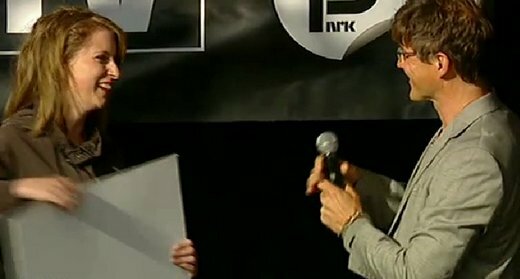 Morten announced that the winner was Susanne Sundfør, who came on stage and received a big cheque. “I’m a bit shaky, but very happy. I had no idea this would happen. Now I’ll hopefully get a chance to promote my music abroad and travel a lot“, Sundfør told VG afterwards. “She has all that it takes to make it big, and has every opportunity to succeed“, Morten said of the winner. Listen to “The Brothel”, the haunting title track from Susanne Sundfør’s latest album, on YouTube here. 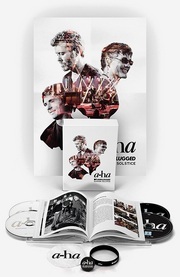 a-ha and Warner Music Norway have teamed up with the Norwegian grocery store chain Coop and the newspaper VG for the release of a-ha’s upcoming ‘best of’-album entitled 25. 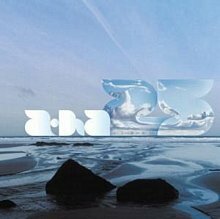 25 is a career-spanning double CD that contains 39 tracks, including a-ha’s final single “Butterfly, Butterfly”. The album will be available exclusively through Coop stores in Norway from 19 July to 4 September. Members of Coop will be able to buy the album for only 99 kroner, which also includes a copy of VG. The price for non-members is 149 kroner. “We are very happy and proud that a-ha have chosen Coop as distributor of the ‘best of’-album in connection with the band’s farewell tour“, Bjørn V. Kløvstad from Coop says. The full press release from Warner Music Norway has been posted by FaroJournalen here. A new article about the various Sennheiser equipment a-ha are using on stage during the farewell tour has been posted on techietalk.co.uk. 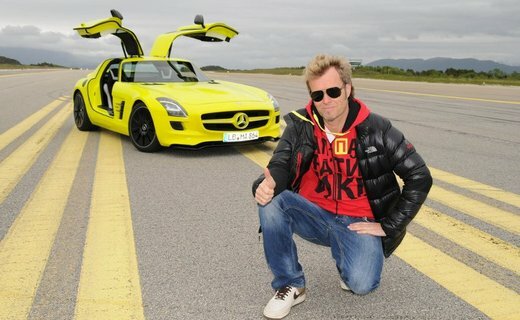 Magne visited Kvernberget airport in Kristiansund today, where he had been invited to test-drive the new 533 horse power Mercedes SLS AMG E-CELL electric sports car. A team from Mercedes AMG, a subsidiary of Mercedes-Benz specializing in high-performance luxury cars, is currently in northwestern Norway to unveil and test two brand new models. 32 motor journalists from all over the world will be visiting Kristiansund over the next two weeks to report on the cars, and Mercedes has brought in a certain Norwegian pop star and car enthusiast to promote the event. In 1989 Magne and Morten imported the first electric car to Norway, in co-operation with the environmental organization Bellona. Today’s electric cars are of an entirely different caliber. “The technology has now caught up and been spread to a segment which also makes it possible for car enthusiasts to want an electric car. It’s great that established car companies are now making cars in the top segment which makes use of this new and pure technology“, Magne tells local newspaper Tidens Krav. 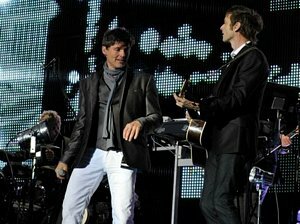 a-ha have had a close partnership with Mercedes Benz in recent years. 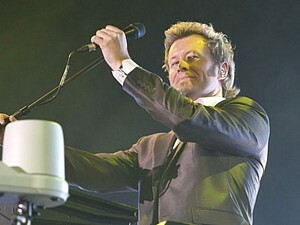 In 2001 the car company sponsored the concert webcast from Vallhall, and Morten has appeared on TV to praise the safety features of his Mercedes for saving his life when he survived a dramatic car crash on Christmas Eve in 2000. Tidens Krav also has a video from today’s test driving, which can be seen here. There is also a video clip on YouTube. Update: More pictures are available here. Today’s paper edition of Dagbladet has an article about a-ha’s newfound interest in the Norwegian G-Sharp guitar. “It’s fun that a-ha have fallen in love with the guitar and its sound“, Øivin Fjeld – the musician who invented the instrument – tells Dagbladet. Paul has tested the guitar over time, and has really come to like it. “I have after all quite a few guitars to choose from, so I have to admit that it was a big surprise, also for me, when I found out that this little Norwegian guitar became our first choice for all the guitar tracks on “Butterfly, Butterfly”, Paul says. 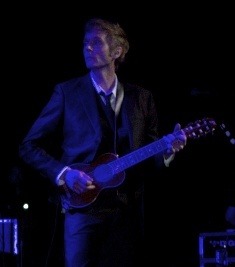 Paul had initially decided to use a selection of various instruments from his large guitar collection on the final single. “But no, I actually ended up using the G# on all the guitar tracks“, Paul says. Magne and Morten are also using the Norwegian guitar during a-ha’s ongoing farewell tour. “The G# guitars have found their natural place within a-ha, and they will be used even more during the next leg of the tour, not least because of the live performance of “Butterfly, Butterfly”, Morten says. Other musicians using the guitar include Eric Clapton, Guy Fletcher, Mark Knopfler and Scotty Moore. The full Dagbladet article is also available online here. 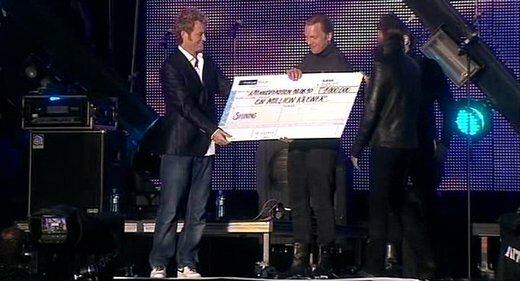 Magne appeared on stage in front of 80.000 people at Rådhusplassen in Oslo last night, to hand out 1 million kroner to the first winner of the a-ha talent grant. The jazz/metal band Shining and singer-songwriter Hanne Hukkelberg were the two finalists in Oslo at VG and NRK’s annual free summer show (where a-ha headlined in 2009), which also featured performances by Madcon, Scouting For Girls, Jason Castro and Scissor Sisters, among others. After Shining and Hukkelberg had performed one song each early in the show, the audience in Oslo (and TV audiences around the country) could vote for their favorite by SMS. Near the end of the show Magne came on stage to open the envelope revealing the winner. “We considered quite a lot of artists, together with an international jury, and both these artists have a unique style. We think they have a good chance to have further success within their genres“, Magne said when asked why a-ha had chosen these two finalists. Shining had been active prior to tonight’s concert, urging their fans to vote for them, as can be seen in this YouTube video. Learn more about Shining on their official website and on MySpace. The next a-ha talent grant will be presented in Stavanger on 30 June, where Susanne Sundfør and Pink Robots will compete for another 1 million kroner. Update: VGTV has a video interview with Magne and Shining after the show. 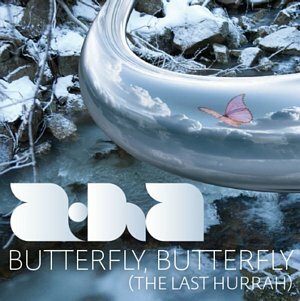 The new (and last) a-ha single “Butterfly, Butterfly (The Last Hurrah)” is now available for listening at Warner Music Norway’s website here. In connection with the premiere of the song, Magne was interviewed on NRK P3’s “P3 Morgen”, while Morten was interviewed on NRK P1’s “Reiseradioen”. The single is getting decent reviews in the Norwegian press. VG‘s Stein Østbø gives it a 5 out of 6 and calls it “a swan song that keeps growing with each new listen“. 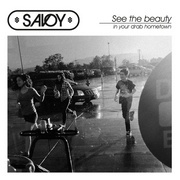 The reviewers from Aftenposten and Dagbladet both give the single 4 out of 6. The song was written by Paul and has been produced by Martin Terefe. It will premiere on several Norwegian radio stations, among them NRK P3, at 09:50 am Norwegian time. It will also be streamed online at VG.no at the same time. “Butterfly, Butterfly (The Last Hurrah)” is released as a digital download in Norway on 5 July. 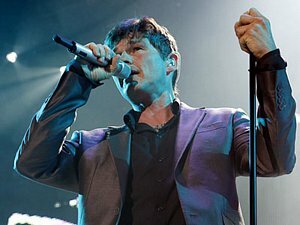 The song will also be included on a new a-ha “best of” album, entitled 25, which is set for release in Norway on 19 July. Info about international release dates is not yet available. The rescheduled concert in Stadtallendorf, as part of the Hessentag festival, ended up being a wet experience for 8000 people yesterday, despite promises of good weather earlier in the week. Heavy wind, rain and thunder a few hours before the concert had the organizers pondering a possible cancellation. Apparently there were concerns about the safety of the audience as things came flying through the air, and people had to leave the area in front of the stage. But the weather improved and a-ha eventually went on stage, slightly delayed. Some of the stage equipment and Magne’s synths had to be covered in plastic to avoid the rain. 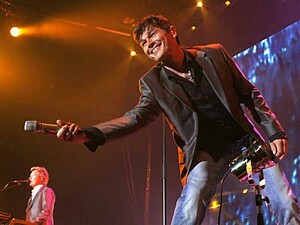 Morten’s voice was considerably better this time, and “Early Morning” was back in the setlist. The four members of Apparatjik held their second ever concert/art-performance as part of Hugo Opdal’s “Go with the Flø” art festival on Friday, June 5th. “We are four musicians who perform and create things together within a short period of time. 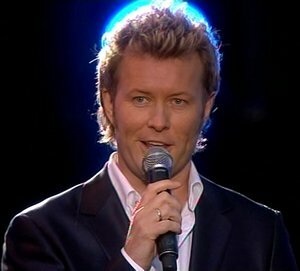 It may sound like a concert, but we view it more as a discussion forum“, Magne told TV2’s evening news. The concert had been criticized in the local press beforehand, because of the steep ticket prices; 2000 Kroner ($309) per ticket. And according to Sunnmørsposten, not a single ticket was sold in advance (although Hugo Opdal claimed he had sold 20 tickets on Facebook). But the sales picked up when the price was lowered to 1000 Kroner shortly before the concert. Many local people at Flø and random people visiting were also allowed to enter for free, to fill up the venue. Apparatjik also launched their “Bolshevik Box” at Flø – a limited edition box set containing a CD, DVD, 12″ vinyl record and one of eight art prints. The Apparatjik prints were also exhibited on the walls of Hugo Opdal’s gallery. 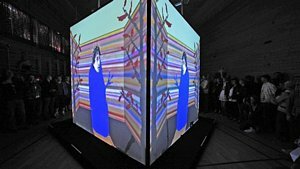 An NRK news report about the art festival can be seen at NRK.no. There are some screenshots on the WOTM forum. Moods of Norway has some pictures of the guys on Facebook. And the latest clip in a series of Apparatjik video podcasts, this time featuring a heavily-distorted Magne, is now available here. Yesterday’s concert at the Sparkassen Arena in Kiel went ahead as planned, with around 5500 people in the audience. 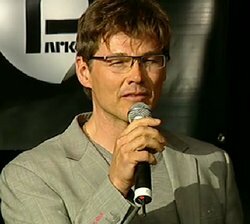 Fan reports say that Morten’s voice was in better shape last night, although he did say that he went on stage against his doctors’ advice. Like in Trier “Early Morning” was left out of the setlist, and the audience helped sing along when Morten needed to rest his voice. The Hessentag concert in Stadtallendorf has now been officially rescheduled for Sunday, June 6th, according to NH24.de, among others. Tickets from last Sunday remain valid and there are also tickets left. 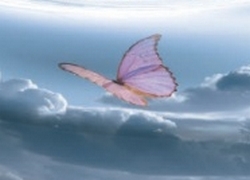 Luckily, the weather is expected to be much better this time – warm and sunny. Magne will now travel back to Norway to play with Apparatjik at Flø on Saturday, June 5th – and hopefully he’ll be able to get back to Germany in time. BTW, here’s a small update on the new song; according to Irene’s a-ha fan café blog, “Butterfly” will be included on a new and updated “Best of” 2CD album with 36 tracks. The Norwegian release date is said to be September 20th. a-ha and their jury members have now decided on the final eight bands and artists that will be competing for the four talent grants of 1 million kroner each in Norway this summer. They are: Shining, Hanne Hukkelberg, Moddi, Adjagas, Casiokids, Lars Vaular, Susanne Sundfør og Pink Robots. The eight finalists were chosen from a list of 50 candidates, which can be seen at the bottom of this article. “There were suprisingly similar reactions and enthusiasm toward some of the acts – and then there were split opinions on some of the others“, Magne tells VG today. – Did it turn into loud discussions? “Yes, we always have loud discussion“, Magne laughs.